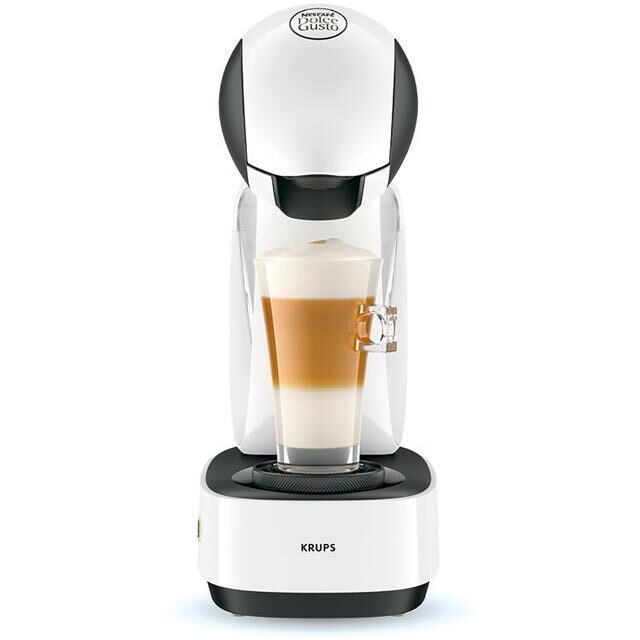 Satisfy your caffeine cravings with this fantastic black pod coffee machine from Krups. 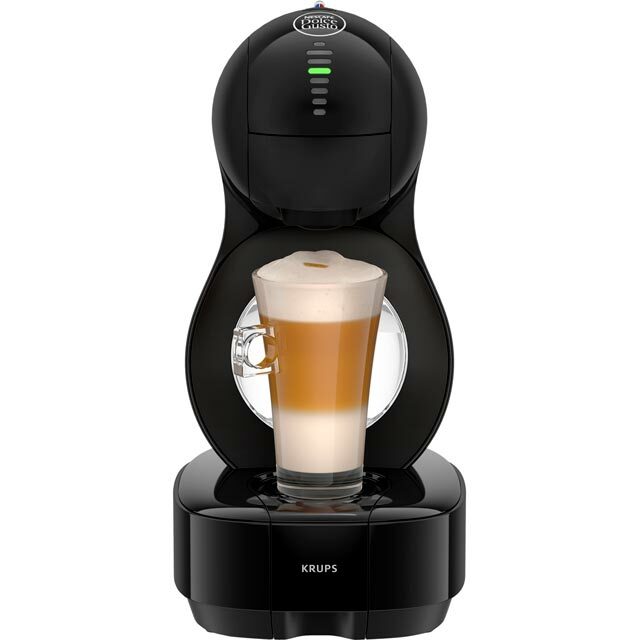 It’s compatible with the full range of Nescafé Dolce Gusto capsules, so you can indulge yourself in all your favourite blends. It also has a 1500 Watt power output and a 1.2 litre water capacity, which means it won’t need topping up too often. And, you won’t have to wait long to enjoy your first sip, thanks to its fast heat up time. 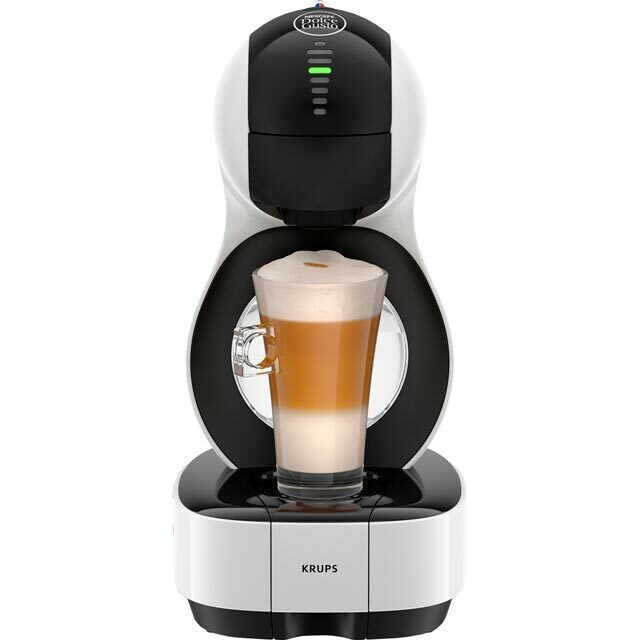 You can even adjust the height of the drip tray so it’ll fit all your best mugs, whether you’re making a single espresso or a tall latte. But this is great. 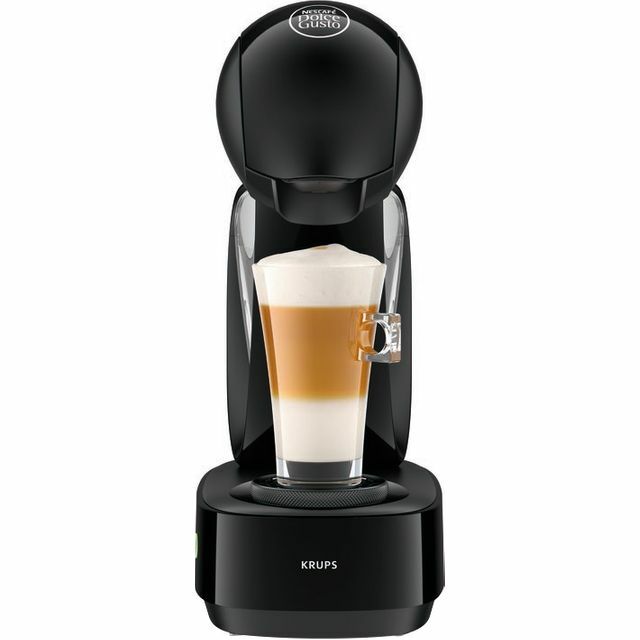 Bought it for my husband as I'm not really a coffee lover. It's so simple to set up and use and it looks really modern and doesn't take up much room. It's heats up really fast and the coffee is the perfect temperature. I ended up trying all the different flavours and now I'm a coffee lover too! Brilliant product. Purchased this for a small office and it has been in constant use since arriving. Quick and easy to use so very pleased with the purchase. Maybe a model with a larger water tank would have been more suitable, but other than that, great. Small and compact. Fits nicely on the worktop and makes good selection of coffee. Quick and easy to use too. A good buy. A doddle to use although written instructions would be better than pictures - a comment that also applies to the boxes of capsules! - and the water reservoir would benefit with having capacity markings on it too. The real downside is the coffee itself, to be honest it isn't that good.